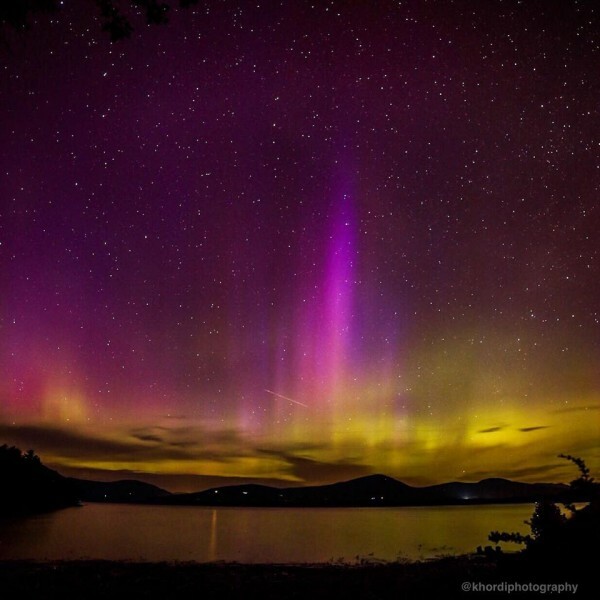 Were I only lucky enough to see this sight, something photographer Jennifer Khordi caught on camera in the Catskills of New York Monday night, after a very large geomagnetic storm caused them to be seen in many southern latitudes. A series of images from the storm appear on EarthSky today. Check them out. You won’t be disappointed. See more: Awesome auroras! This entry was posted in Uncategorized and tagged Aurora Borealis, Nature, Northern Lights, Photos. Bookmark the permalink.